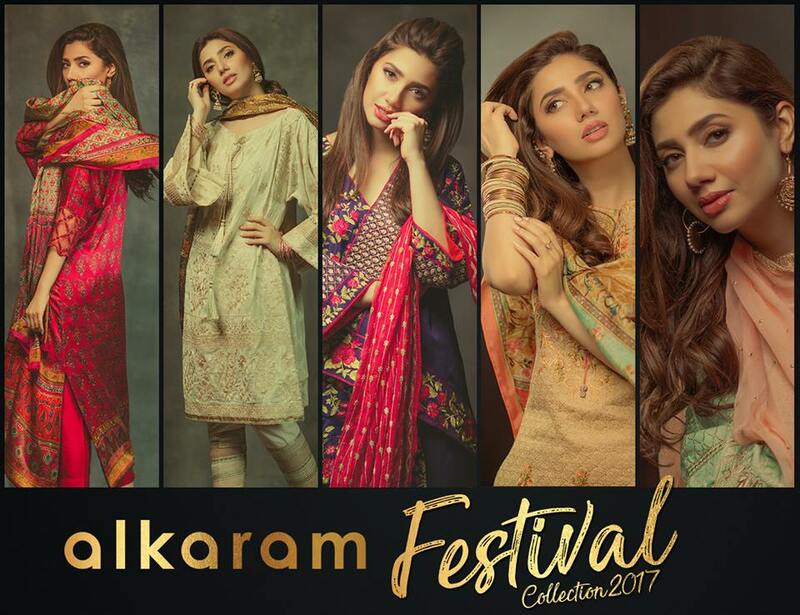 Alkaram is one of commendable clothing line in Pakistan, recently alkaram has released alkaram festival collection 2017 that consists of lawn and chiffon zari embroidered suits that are up to the mark for eid festival. As we all know eid is around ladies are busy in Ramadan and eid preparation almost all clothing brands have released eid collections and women and girls are rushing to buy dresses for eid. Check out Maria B ready to wear eid party dress 2017. 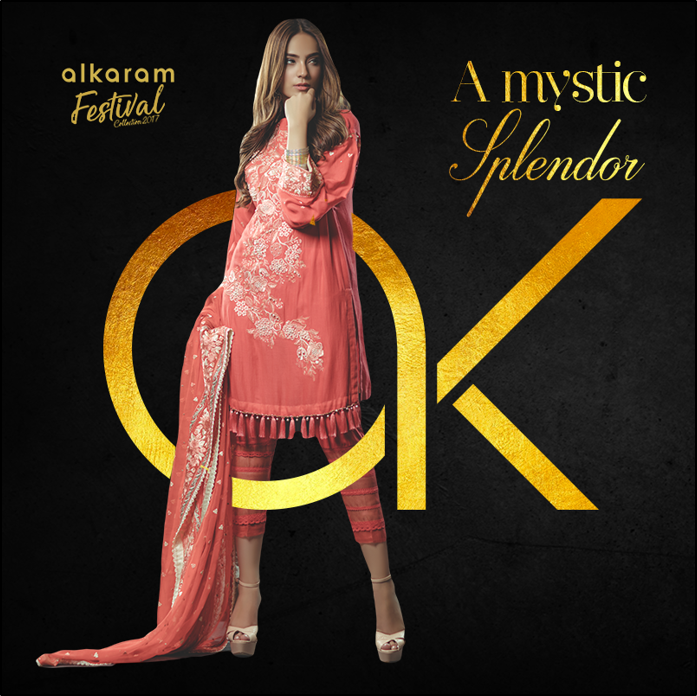 In this article you can explore alkaram lawn & chiffon suits with price so that you can celebrate this eid with festive colors of alkaram. If you really want to portray elegance then step out in this blue and pink embroidered eid ensemble for formal gathering. 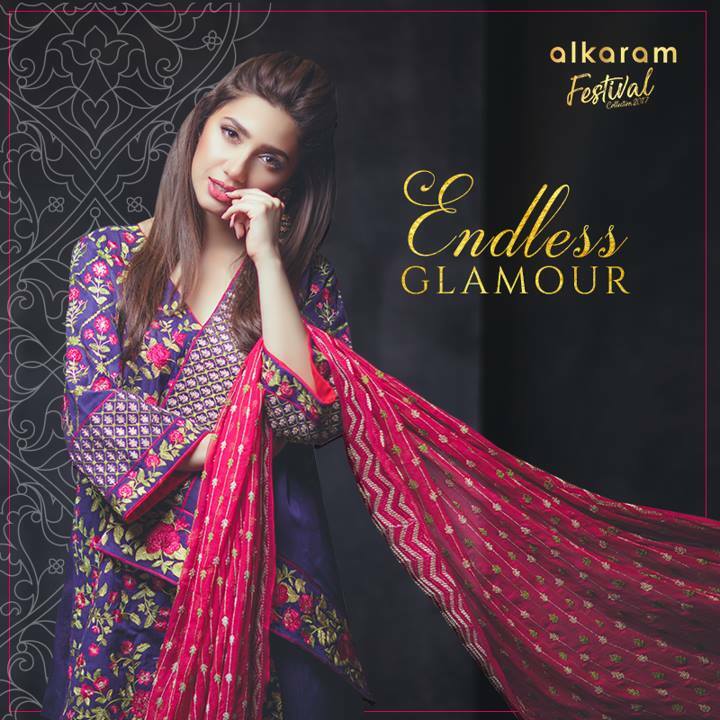 This dress comes in sheer floral embroidered jacquard shirt, with hot pink lightly embroidered dupatta and jacquard pants, this dress worth 9,500 PKR. This festive season let’s your style talk, this awe struck dress is all you need to show your glam statement. 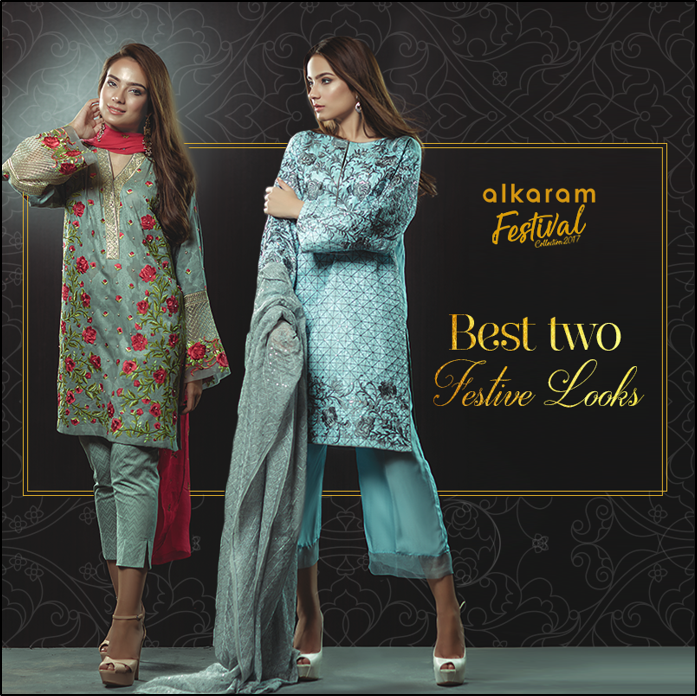 This dress consists of chiffon shirt with heavy embroidery on daaman, chiffon dupatta with motifs all over and jacquard pants to achieve regal looks this eid day. This outfit is worth 8,500 PKR. If you want to achieve a soft traditional look then this drizzling gold attire is all you need for eid day lunch. Jacquard shirt with all over embroidery, trendy silk dupatta and jacquard trouser make it an ideal day wear dress for festive season. It’s price is 8,500 PKR. Feel a sense of luxury in this purple eid dress, this suit consists of jacquard shirt with enchanted floral embroidery, zari embroidered bright pink dupatta and dobby pants, is a flawless pick for formal eid evening out. This attire costs 8,500 PKR. This Coral red dress is striking with zari embroidered cotton net shirt, wide pearl embellish dupatta and cambric trouser is absolutely perfect for eid lunch. 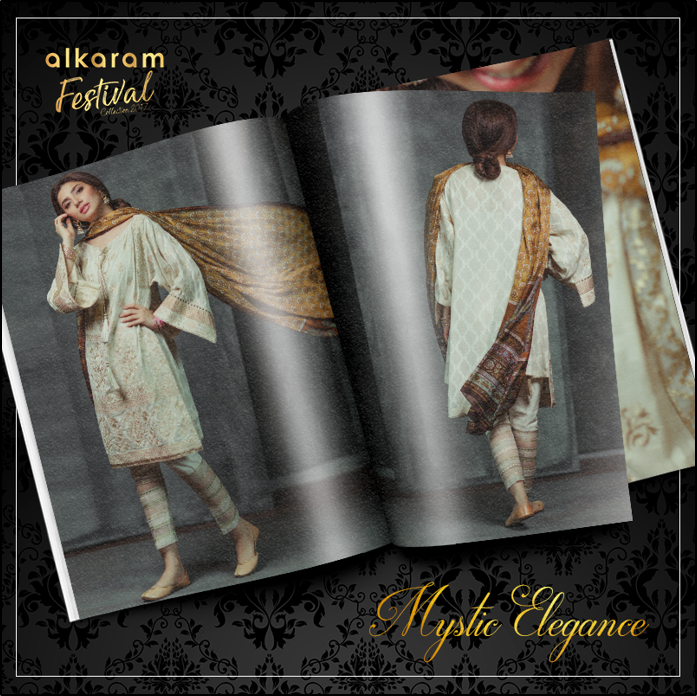 This breathtaking eid three piece ensemble costs 9,500 PKR. This is another summer breezy attire for festive season. 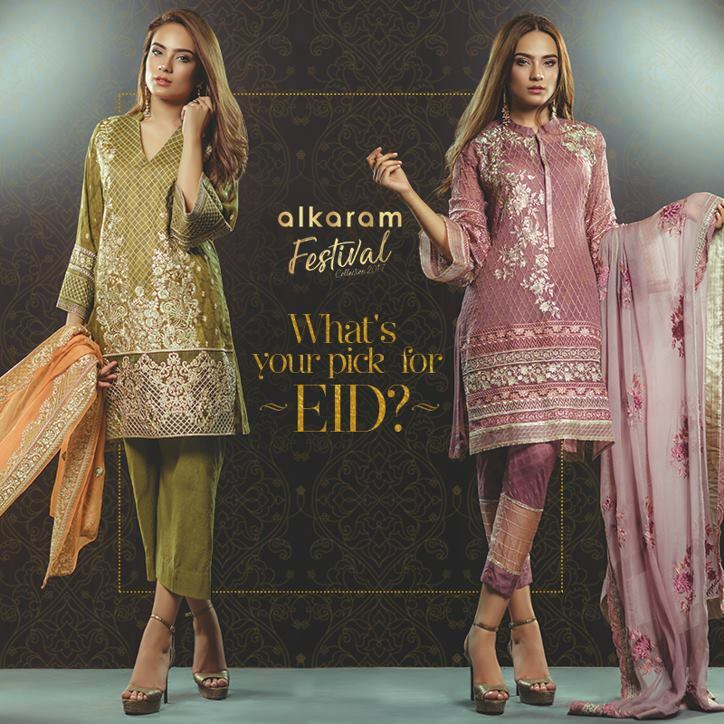 This dress comes in jacquard shirt with zari embroidery, tea pink light embroidered dupatta and dobby pants absolutely perfect for summer days this eid.